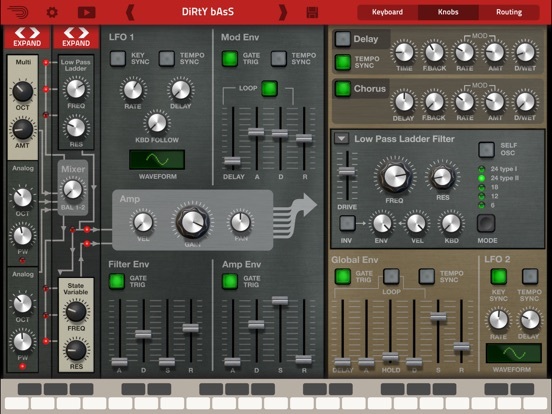 Thor for iPad puts the mighty Thor synthesizer at your fingertips. Reason's legendary flagship synth delivers a thunderous sound, god-like sound sculpting capabilities and an innovative, lighting-fast keyboard designed for iPad. 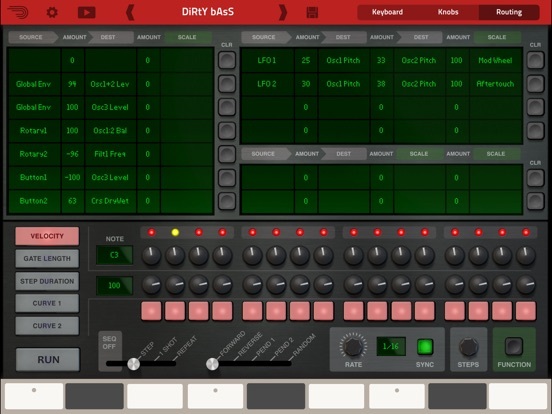 Thor is a synthesis playground, a flexible sonic workhorse, but above all, an expressive musical instrument for the iPad. 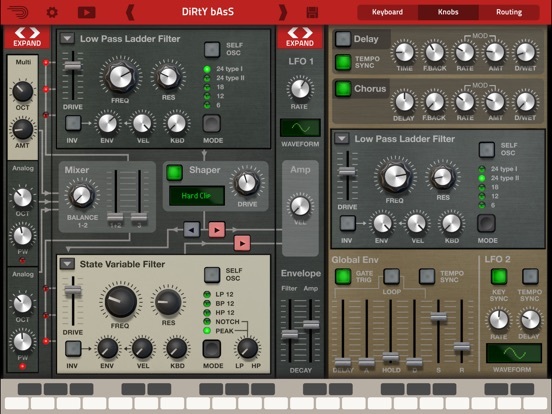 • Play Reason's Thor Polysonic Synthesizer on the iPad. • Load any of the 1000+ expertly crafted synth patches, or create your own from scratch. • Create your sounds using a palette of multiple oscillator and filter types. 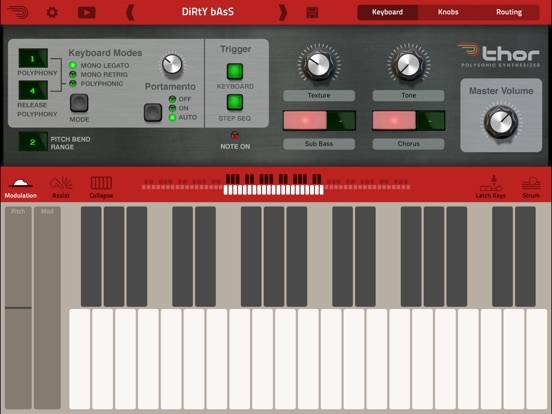 • Play Thor using an expressive touch interface keyboard with aftertouch and strumming. • Collapse the keyboard to a key and scale of your choice, just like in Figure. Thor sounds like no synthesizer you've ever heard before - and every single one of them. Where other synths use one specific form of synthesis and one single filter, the Thor polysonic synthesizer features six different oscillator types and four unique filters. What does this give you? Simply the most powerful synth ever created; an unstoppable monster of a sound generator that utilizes synthesizer technology from the last 40 years. On the iPad, Thor comes with a specially designed interface that's optimized for touch control and the iPad screen. Cleverly designed panels expand and fold at the touch of a button to hide or reveal oscillators, filters, envelopes and more. 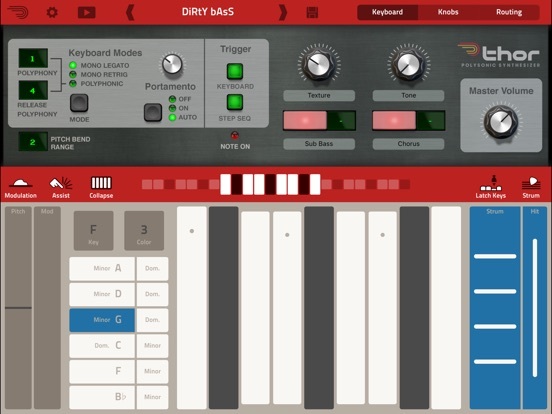 The app is divided into three main screens: Keyboard, Knobs and Routing. • Assist function lets you select key and scale to highlight chord notes or to collapse the keyboard to only show the chord notes of the selected scale. • Strum function lets you play arpeggios by holding a chord while strumming across the strum control. • Audio in background option lets Thor keep playing in the background when working with other apps. Note: We recommend using Thor for iPad with iPad 4 or later.